A cliched expression such as "less is more" is definitely overused, but holds so much truth. In terms of design elements, sometimes a minimalist approach is much better. Aside from being easier on the eye, it's also better at providing a clearer, much better focus on the key items you want to be showcased the most. 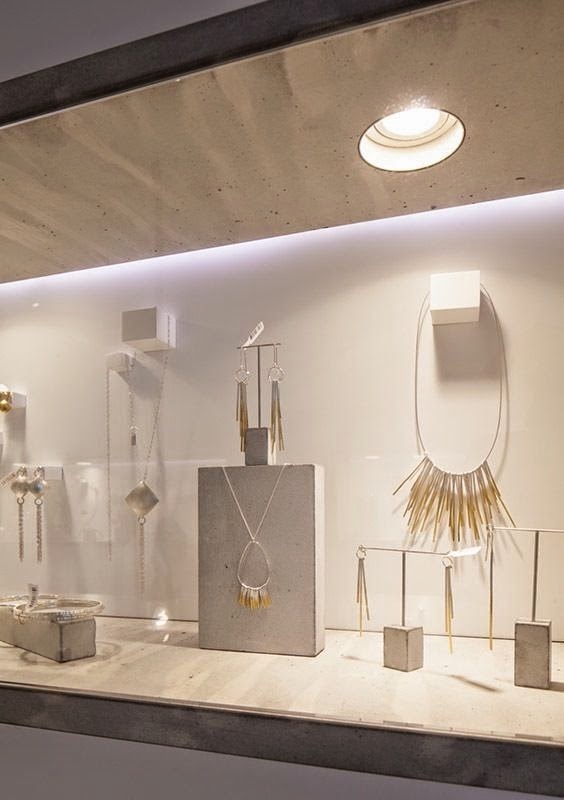 Adapting a modern and minimalistic style to your window display or jewelry gallery gives off an effortless, stylish and clean vibe. Of course, it's not suited to everyone's taste, but if it reflects your personality and your jewelry pieces, why not go for it? Jewelry pieces that go best with this design factor are simple, geometric, or classic-looking items. White is usually the color of choice, but you can also utilize other monochromatic colors such as grays and certain shades of blue. 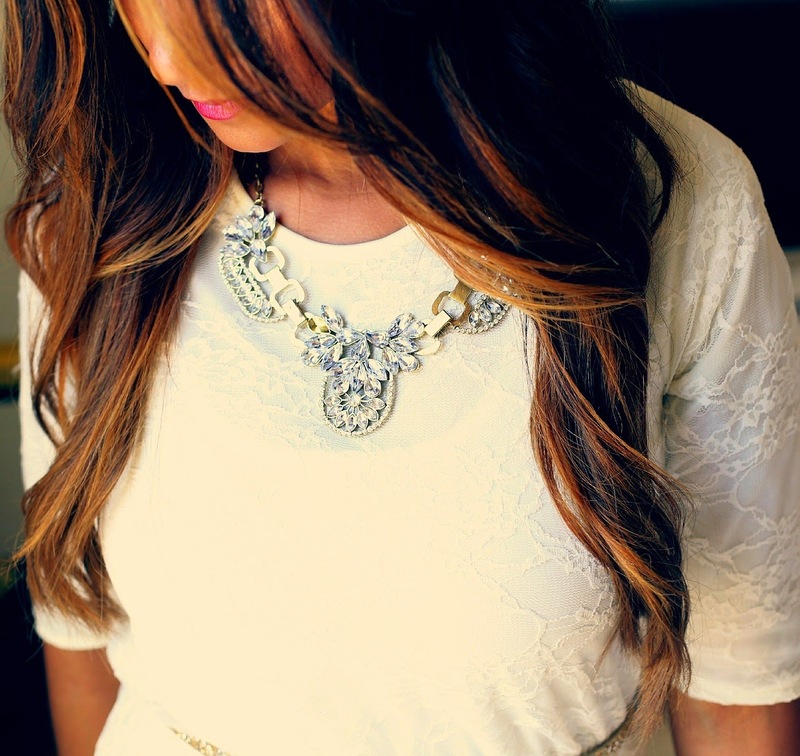 Mixing white with tan, wooden colors also work well. Want a little more color? You may also adapt a touch of rose tint like the one below or any other color for something different. 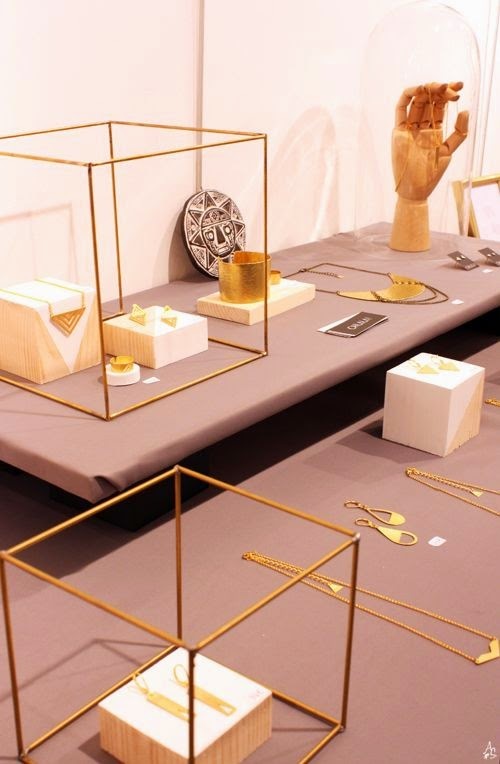 When it comes to this contemporary mode, we recommend jewelry displays that are classic and simple. Whether it's velvet, leather or wooden, stick to basic shapes and designs. 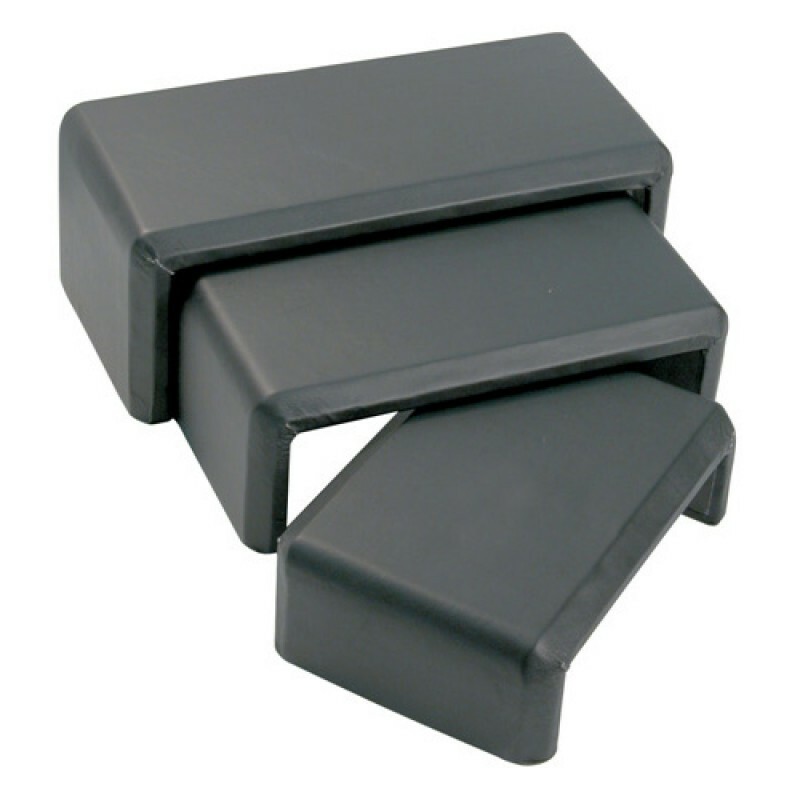 We love using jewelry risers for this look, as it's functional in a lot of ways. You can choose whatever piece you want to place on it and allows the viewer to focus on just that one item. 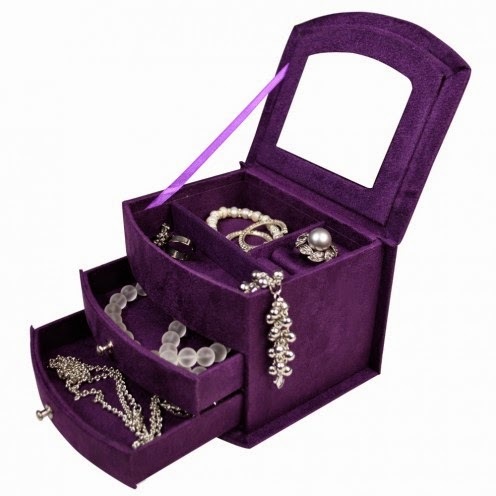 Jewelry trays are classic options for displaying jewelry. Practically everyone has them in their store or their personal closet, so it's no surprise that it's a constant must-have no matter what time of the year. Wooden trays in particular are simplistic but versatile. 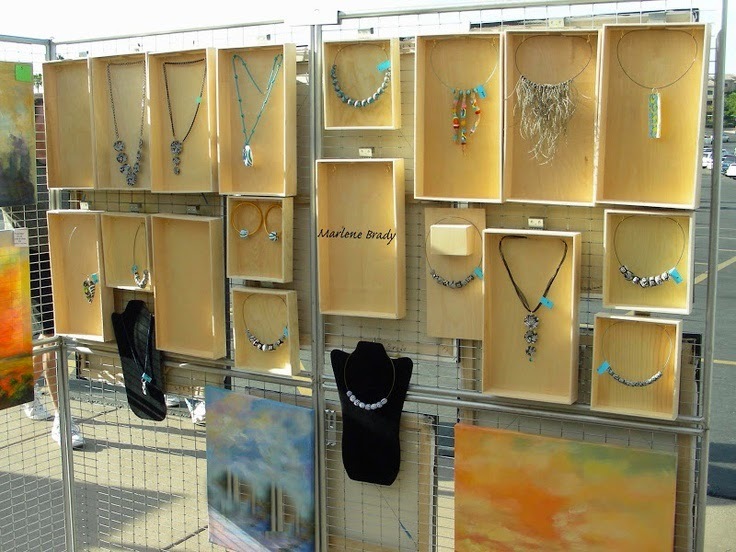 Aside from presenting your jewelry the usual way, you can also suspend the trays up and make a hanging jewelry display. 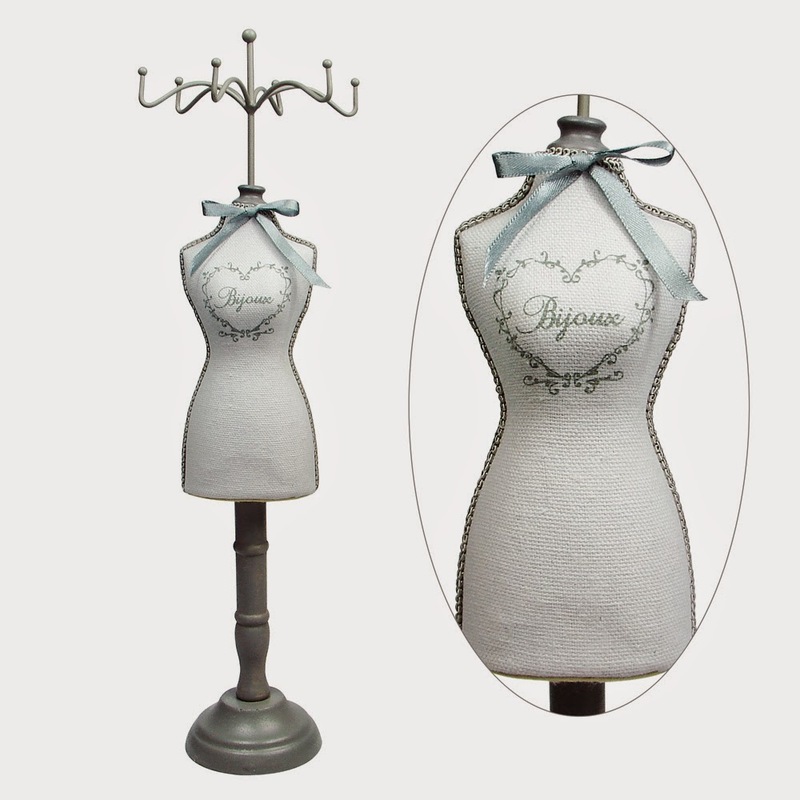 Simply attach hooks on the base or wooden board and you can dangle earrings and necklaces away, similar to a shadow box. You may also add wooden or cardboard dividers to separate pieces. 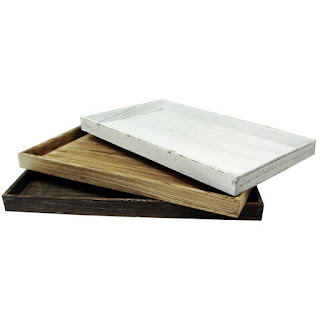 Get creative with it and you can turn any seemingly boring wooden tray into a fine masterpiece of display. Check out below how one of our customers, Marlene Brady, used our regular wooden trays to exhibit her items. 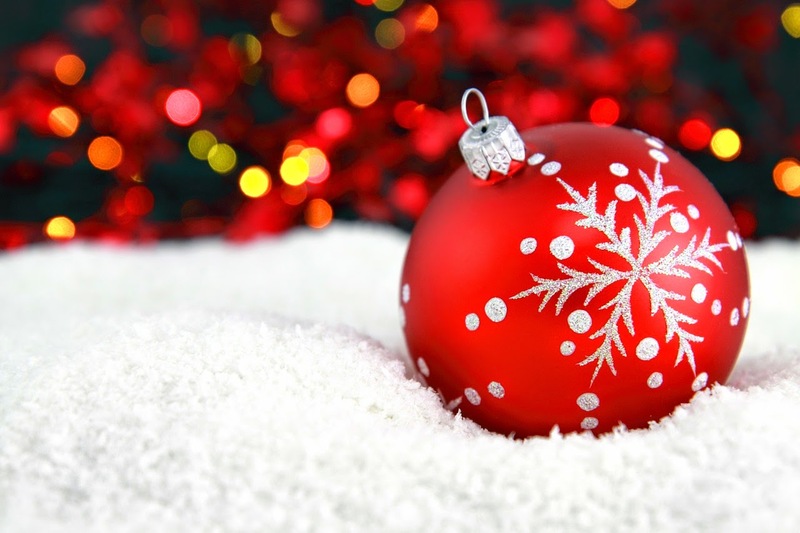 This holiday season make a statement with your jewelry displays and window displays utilizing props and handmade ornaments to really make your boutique pop against your local competition. We've compiled from unique props you can easily make in your backroom for a festive white wonderland look that consumers will love! 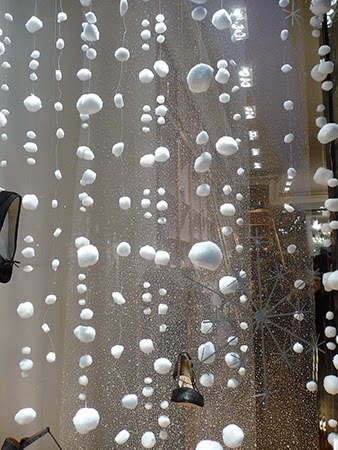 Using clear fishing line or thread, carefully string cotton balls for a fun "snow-like" effect in your window displays. 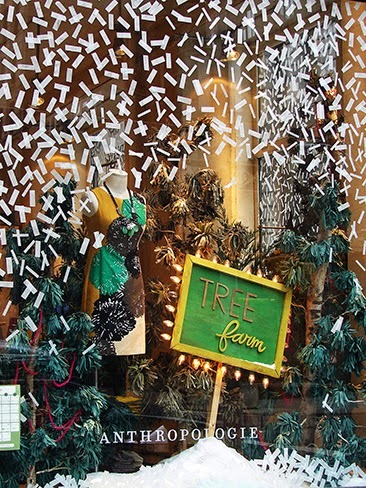 Gather paper strips or confetti and tape it to your display window with double sided tape. For easier removal after Christmas you can also use removable vinyl stickers to achieve this effect. 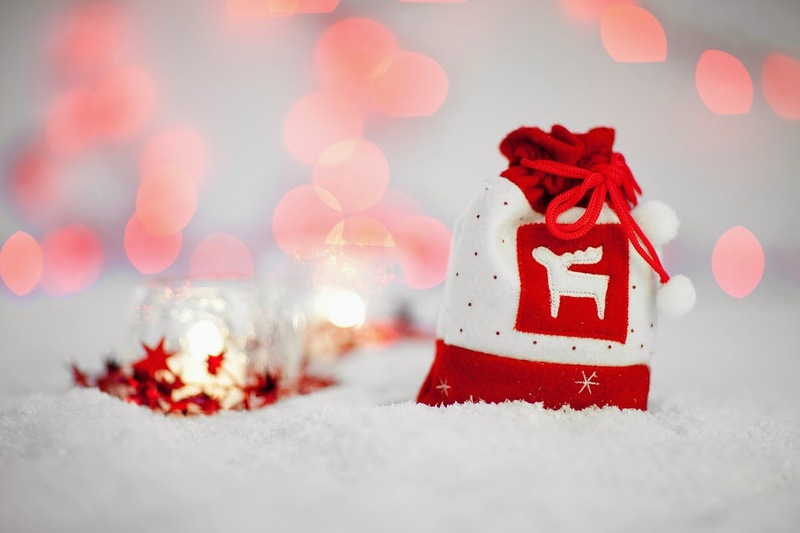 Place faux presents in your window to give the Christmas gift-giving vibe when consumers walk into your store. 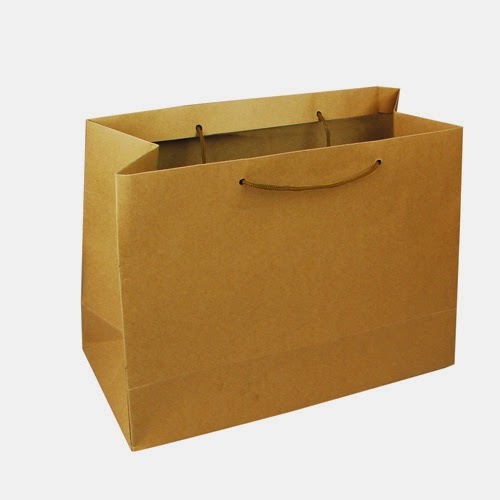 You can dress up Kraft paper gift bags with fun tissue paper and ribbons for a holiday inspired look. When consumers walk by your door you want to feel something festive that is reminiscent of Christmas. 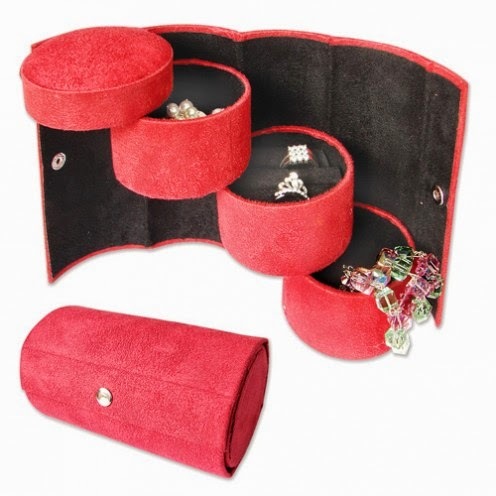 To get your customers in the buying mood display your window jewelry in holiday inspired red jewelry boxes. 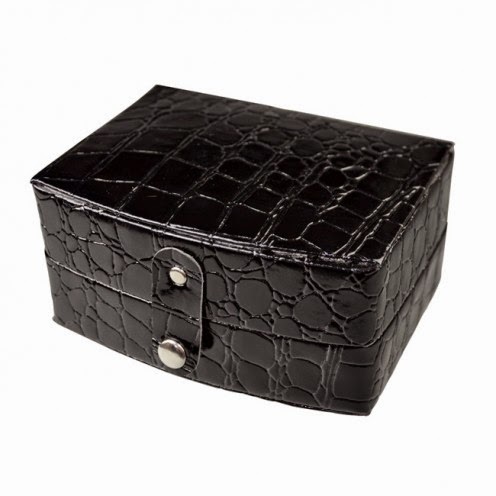 Nile Corp. carries a wide variety of high quality red leatherette boxes for every jewelry type. 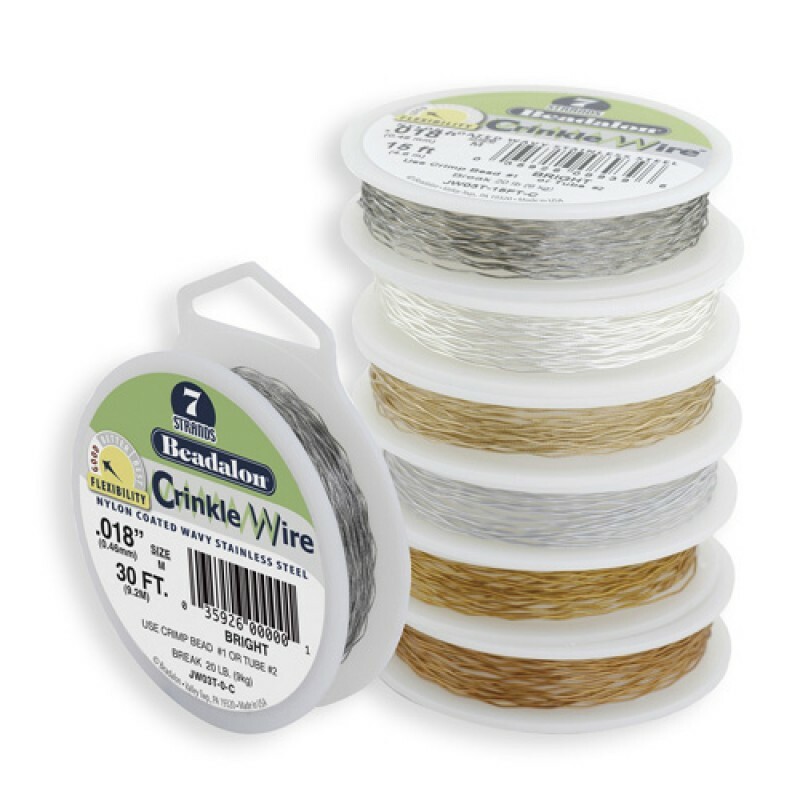 Now that the holiday season is coming, you might want to clear some space to make way for new items in your jewelry store. 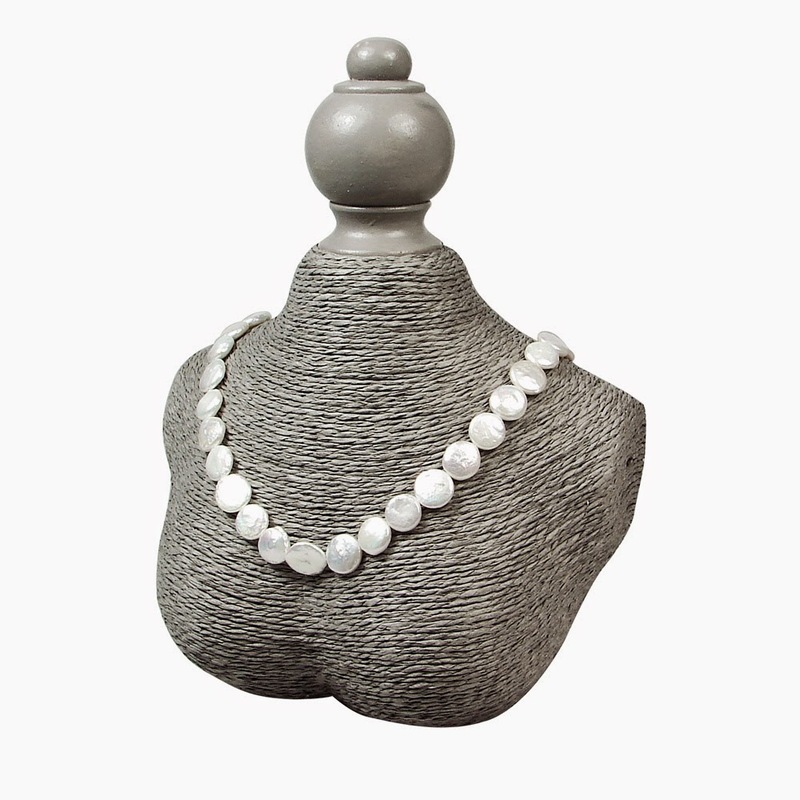 Before the holiday shoppers drop by to begin their shopping, why not implement a well-thought strategy to clear some items off your necklace display and make way for newer, more in-demand items. One great strategy to move your items effectively is to sell them through clearance sale. Whether it is some accessories from previous season, slow selling jewelry style or slightly damaged items, you can still monetize these items and turn it into something profitable. This move will you cut your losses and will let your customers avail your products at a discount. Now that you finally decided to have a clearance sale, it’s time to determine which items should be included in your clearance sale. Hot items from past season that may no longer sell these colder months should be included in this section. Items that may be sitting on your shelf for more than six months can also be sold at a discount on your clearance area. The clearance section is a good attention grabber which can help encourage shoppers to check out your jewelry collection. 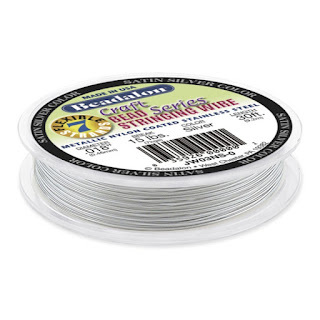 Utilize this by placing your clearance display near the entrance or near the checkout counter so customers can easily grab some sale items on their way to the cashier. The layout of your jewelry store has a lot of impact on the shopping behavior of your customers so don’t forget to consider before displaying your clearance items. Bring attention to your clearance section by hanging posters and store signs announcing your clearance products. 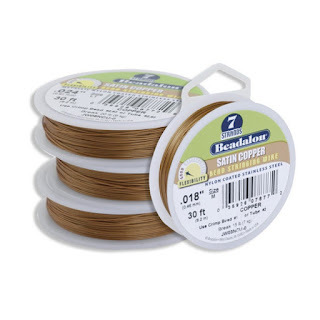 You can use bold labels or signs to indicate which items are included in your sale. Putting a red sticker to indicate a sale item is also a great strategy to easily differentiate it from regular prized items. Installing a lighting system to highlight your clearance section will definitely help in making it more visible. If you’re selling costume jewelry or stainless steel cocktail rings, a high quality store light will highlight the detail of your jewelry pieces. 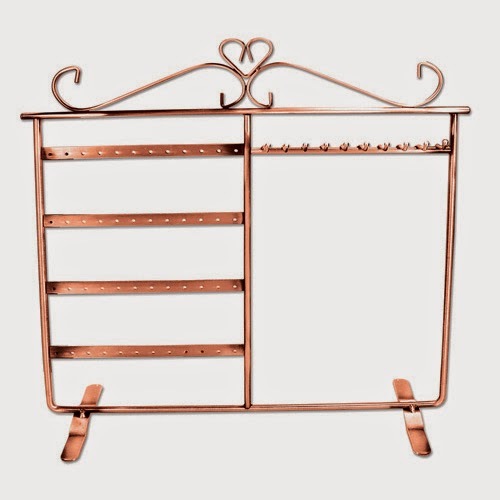 Displaying jewelry attractively means investing in quality jewelry display racks and busts. Encourage your buyers to purchase from your jewelry collection by displaying your items creatively. Use props and other decoration to make it more visible in your jewelry store. Unlike large and chunky jewelry which easily grab people’s attention, displaying small and delicate jewelry is definitely more challenging. When not displayed properly, they will easily go unnoticed by busy shoppers, especially during peak hours. While most trendy accessories nowadays comes in bold and large designs, there are still some classic yet small jewelry pieces that definitely deserve a space in your jewelry store. 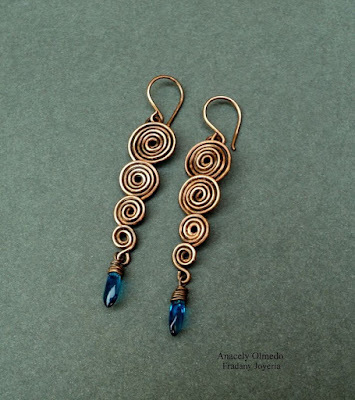 If you want them to get noticed, you may want to consider creating a strategy that will help bring attention to those delicate earrings and necklaces in your collection. When displaying small jewelry, there are different strategies you can implement to make sure they get the right exposure they need. 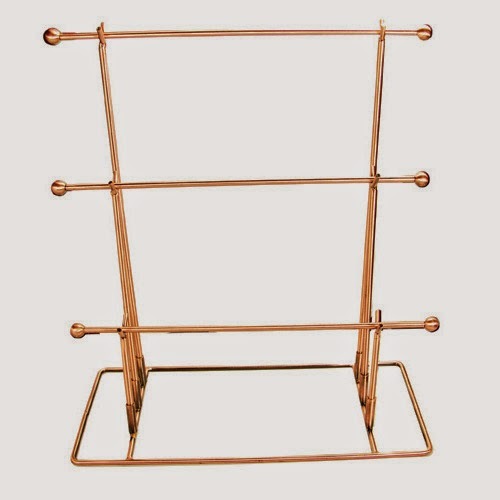 Using plastic earring stand, earring rack or jewelry display, display small jewelry in groups to keep it from getting lost or stolen. Group jewelry based on colors and styles for more organized look then place it in a noticeable area of your table display. Using earring hanging cards is a smart way to make handling and organizing small jewelry a lot easier. To make your jewelry more noticeable, use earring cards or tags that is in contrasting colors of your fashion jewelry. Highlight silver jewelry with black earring cards and use white or grey cards for dark colored items. 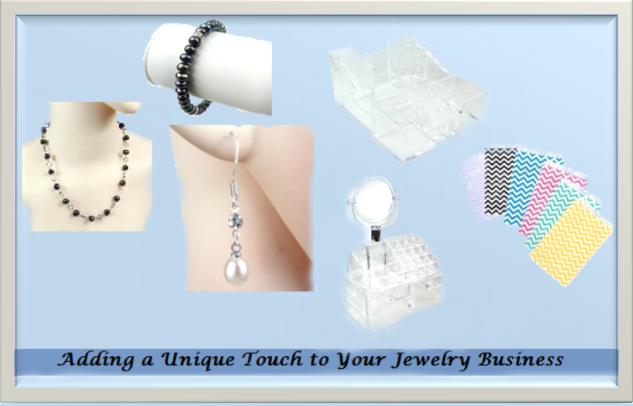 Your store lighting plays a great role in the appearance of your jewelry products. Keep small and delicate jewelry sparkling by using bright white light, most especially when selling diamond jewelry. Whether you’re selling jewelry for little kids or studs for multi piercings, small pieces should also be included in your promotional strategies. Make sure all your pieces jewelry are properly labeled and the price tag easily seen to encourage shoppers to purchase your jewelry. 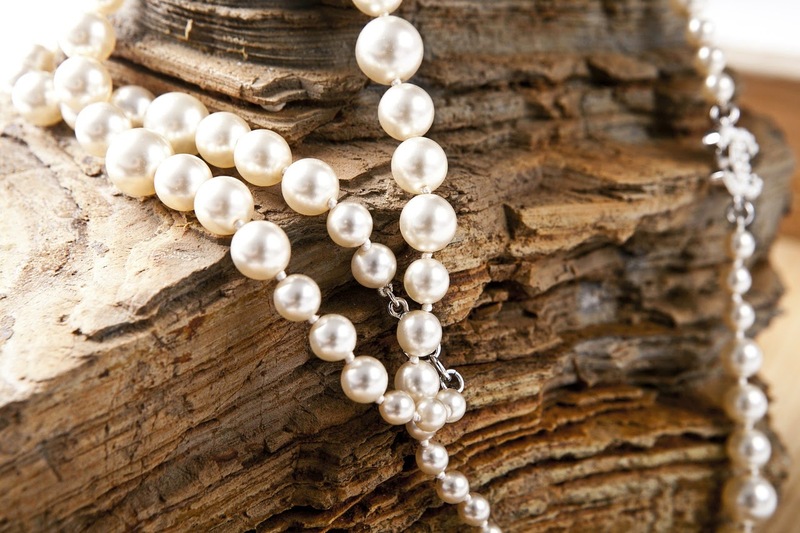 Hanging large print photos or posters is also a great strategy to keep buyers interested in your jewelry collection. 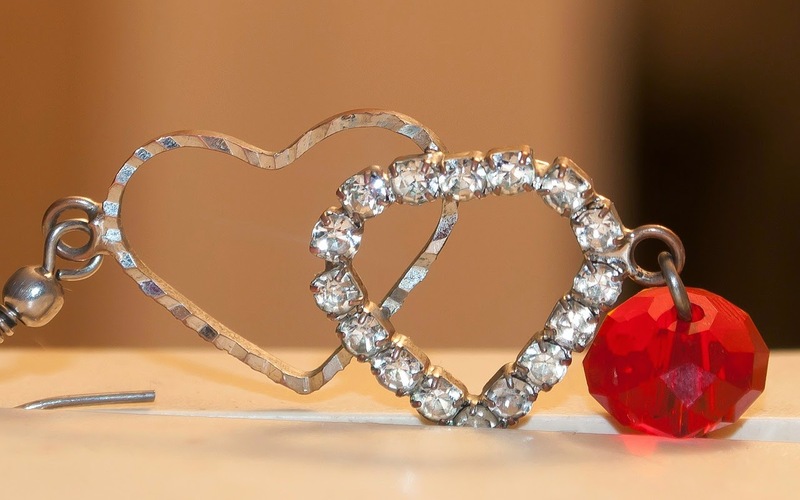 Choose high resolution photos that show the details of your jewelry and how it looks when worn on your ears or fingers. 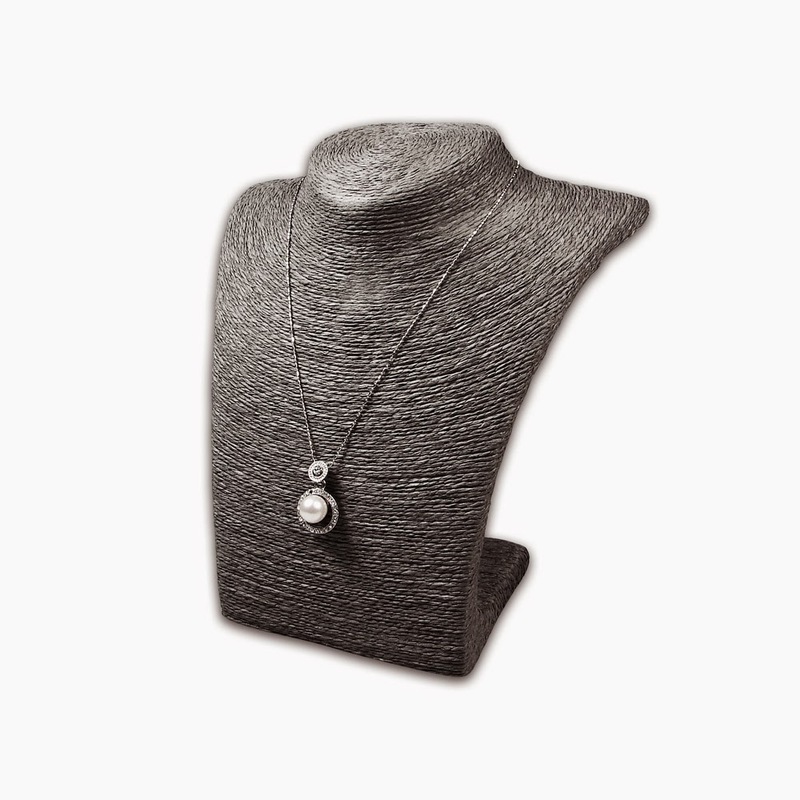 Small and inexpensive jewelry can also be promoted by giving it away as part of your seasonal promos or loyalty perks. 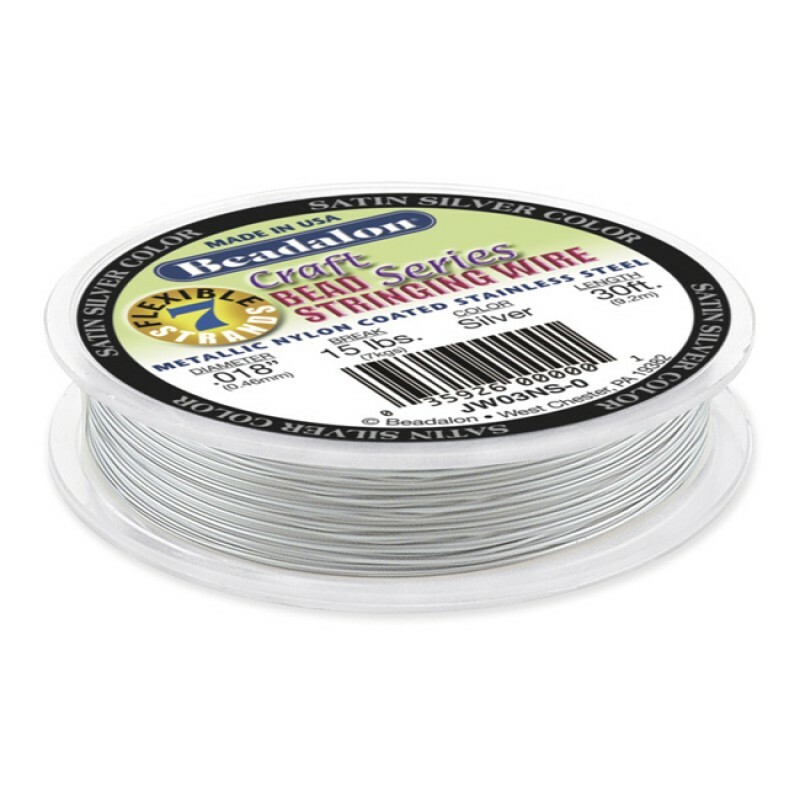 Invite your customers to shop for a minimum amount and give them a pair of your stud earrings. This is a good way to increase sales on your retail store and will let people avail of your jewelry without spending a dime. 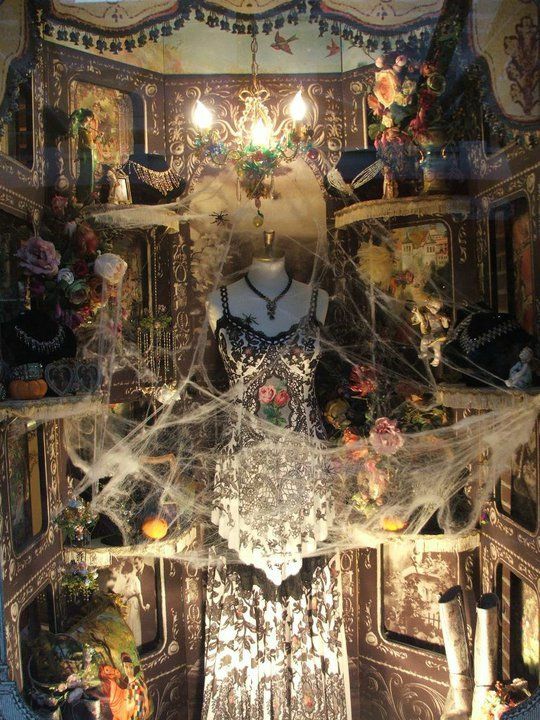 Antique pieces are not only chic, but are also perfect for halloween because they remind us of haunted houses and scary movie flicks. Incorporate your jewelry displays with vintage accessories such as old typewriters or suitcases, and classic metal frames or candleholders. 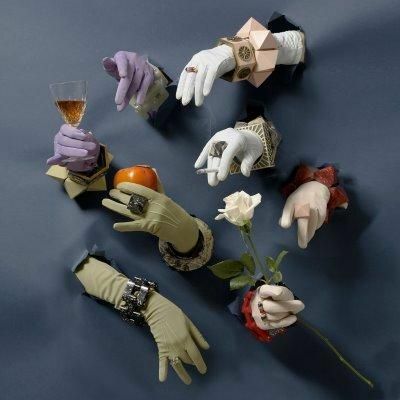 Bust displays and black or white basic hand displays are usual choices for the vintage Halloween atmosphere, but if you're looking for something different this particular hand display is a perfect fit! Black is ultimately the staple color for Halloween, with orange, green and purple trailing behind it. Integrate a lot of black items for that dark, moody feel, or add the other three colors to the palette to make it a little more upbeat. You don't have to break the bank in order to set the mood for Halloween. We like these 30 easy Halloween ideas that use simple, everyday items. 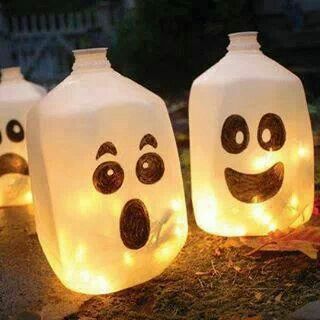 For example, you can turn old milk jugs into ghostly lanterns like the one below. As the saying goes, “great things come in small packages”. This holds true even to retail store displays where big is doesn’t always mean the best. 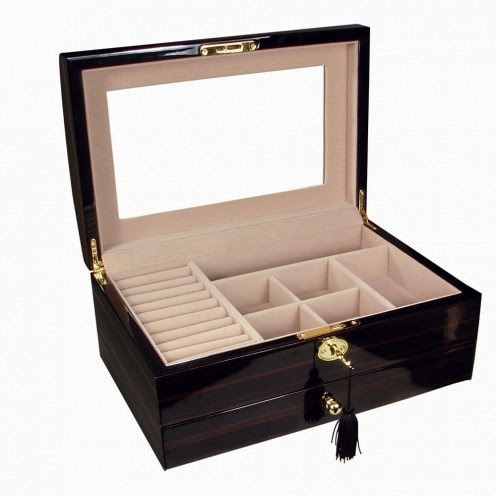 When it comes to jewelry displays, you can find a lot of jewelry display options in miniature sizes that can give you the same catchy look compared to the usual ones used in major jewelry stores. One of usual challenges jewelry store owner has to face everyday is how to maximize space in small jewelry store. 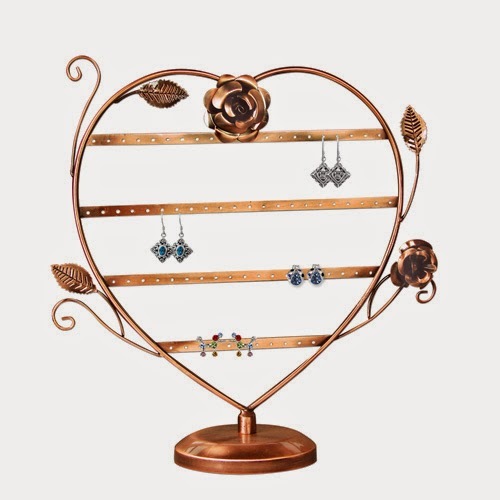 When large bulky display busts and racks is definitely out of the picture, you have to look for smaller jewelry displays that still creates the biggest impact and effectively draws customers into your jewelry store. 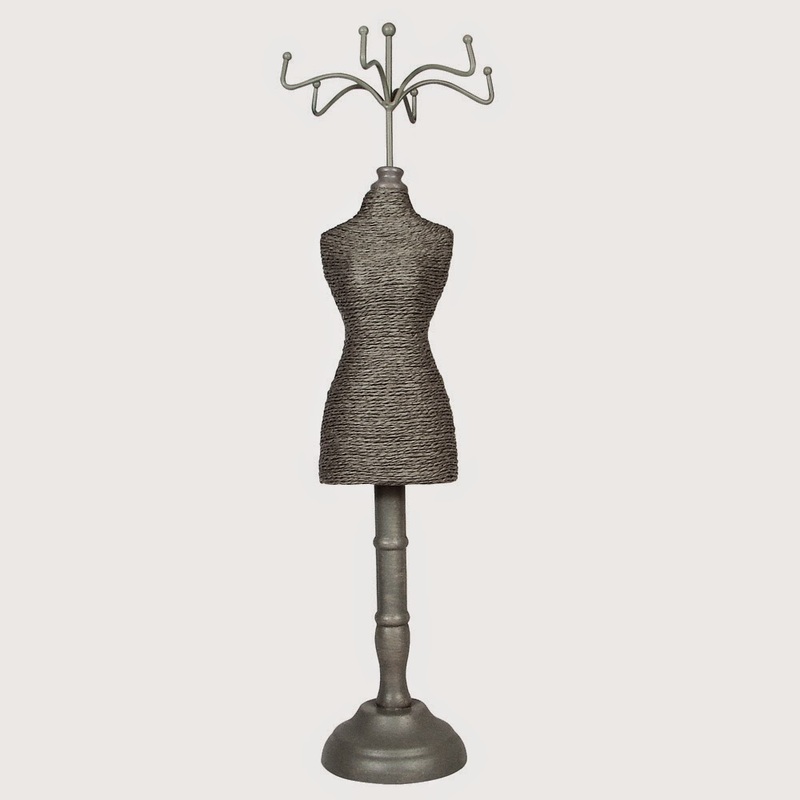 If you’re starting to run out of idea on how to display your jewelry, why not try using one of our fabric-covered mini mannequins to showcase your latest collection? 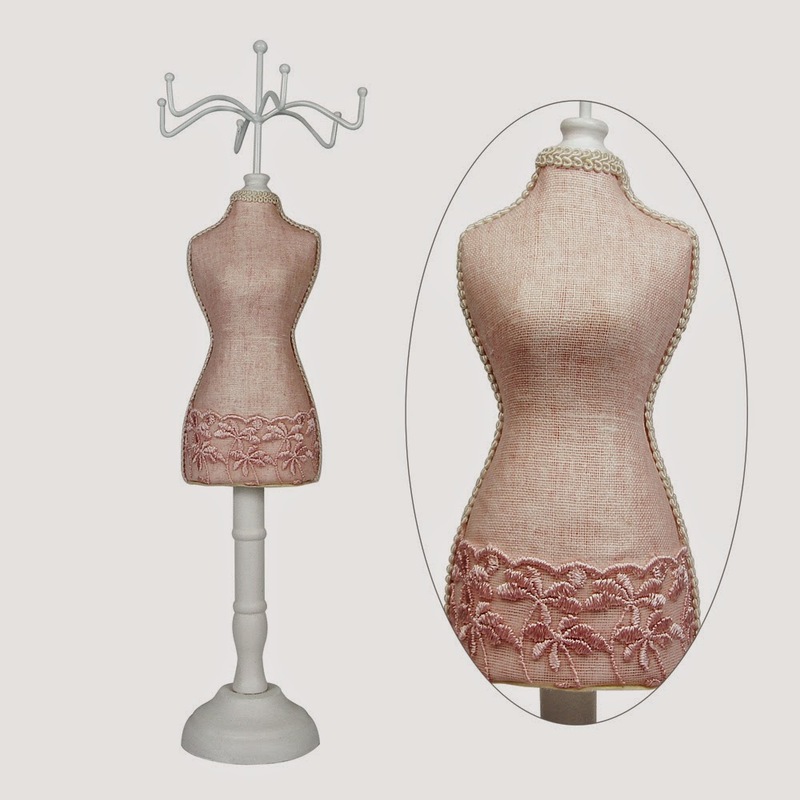 This small and catchy mini mannequin can hold small to medium size necklaces, earrings, bracelets and even brooches. 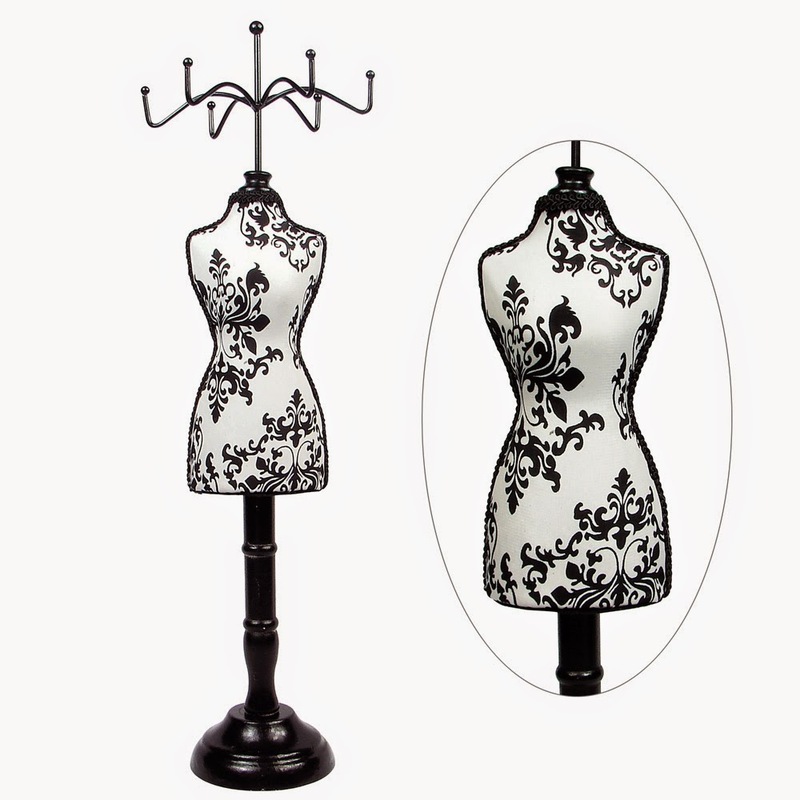 Just like other doll display found in our website these newly arrived mini mannequins are crafted in style so it can look visually appealing to your target market. 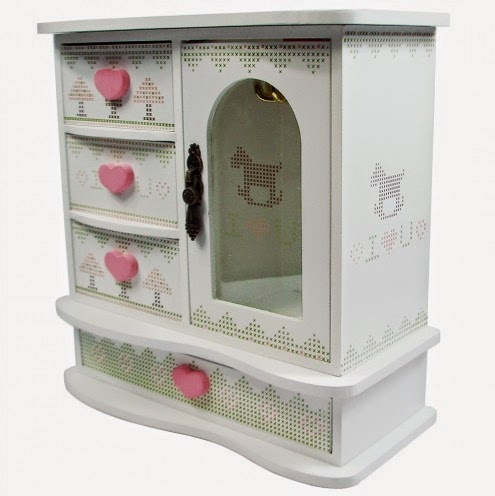 It can also serve as the centerpiece of your table top display or placed on top of shelves or cabinet as a part of your decoration. 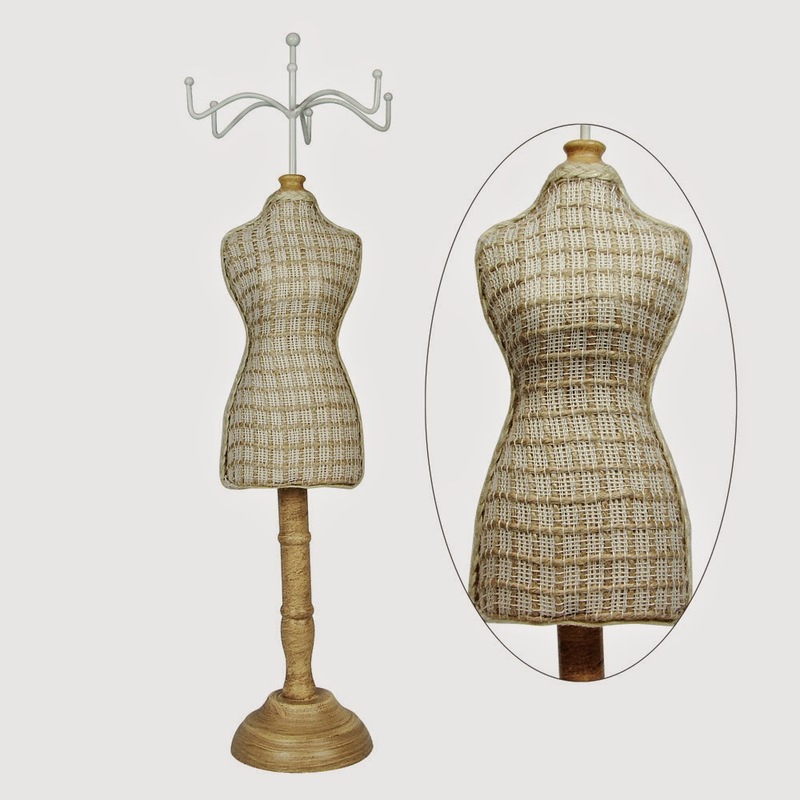 These mini mannequins are ideal for vintage style jewelry, pendant necklaces, pearl bracelets and other high fashion accessories. 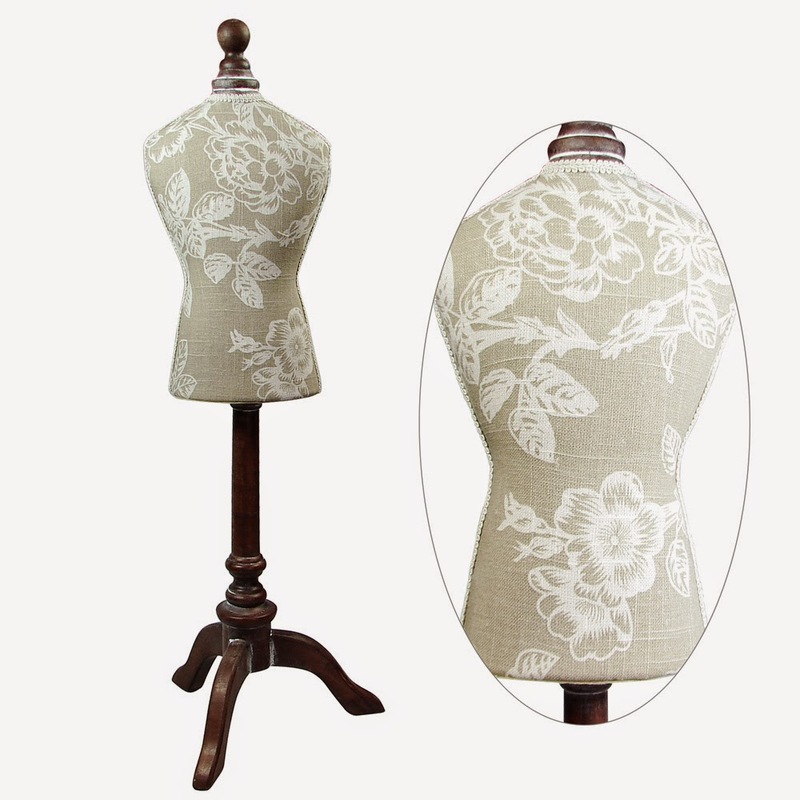 Take a look at the new arrival section of our website and discover these mini mannequins. When you’re setting up your display, a little creativity surely goes a long way. It helps create variety and dynamics in your store and lets you experiment on what works well with your customers. One of the ways to make your jewelry stand out is by using different jewelry display in presenting your collection. Instead of using one type of display stands or racks, you can use different variations like mannequins or doll displays to add depth and diversity in your display. 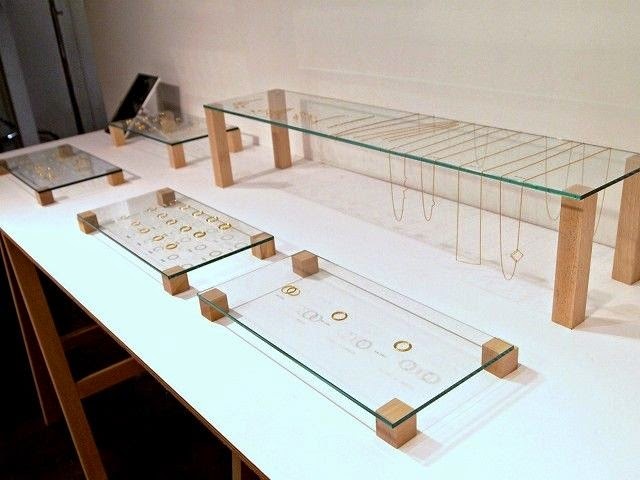 Another ideal type of jewelry display that will let your jewelry stand out even from a good distance is hand display. It’s usually made from polystyrene plastic and shaped in a form of a ladies hand. 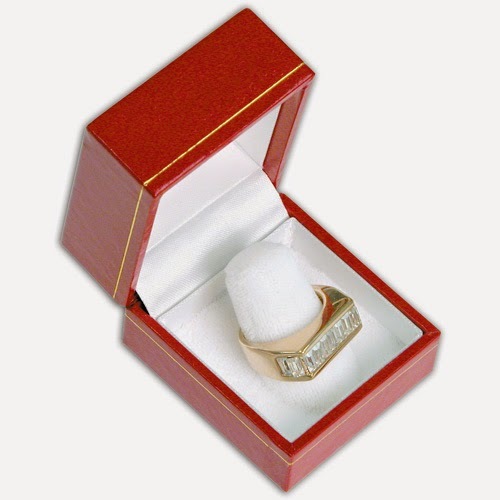 Here are some major advantages of using hand display in your jewelry store. • It lets you display different types of rings, bracelets, necklaces or bangles at the same time. • It helps create story and uniqueness in your store display. 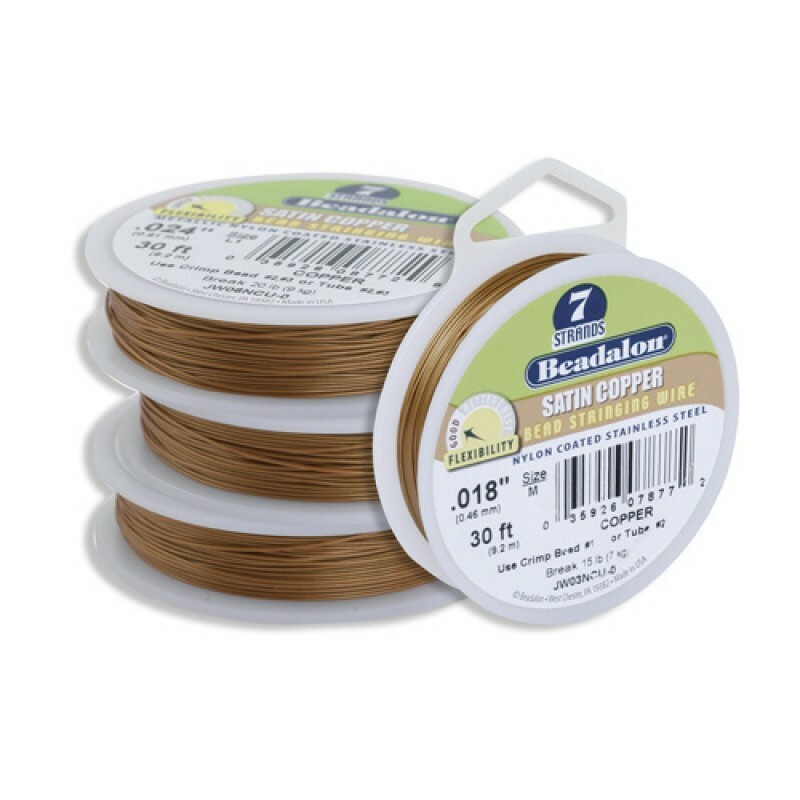 • It can be dressed up to match the theme of your jewelry or the designs of your jewelry store. 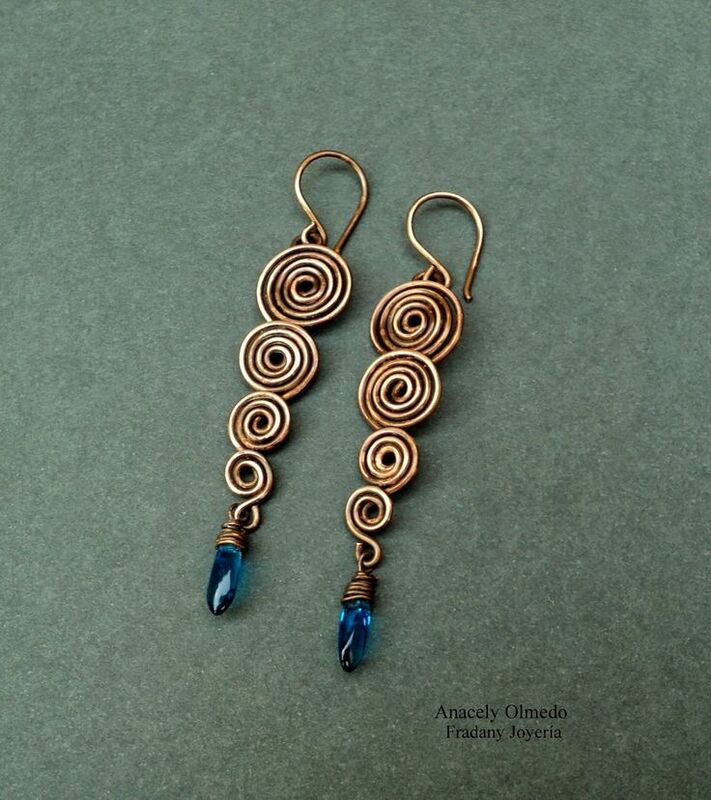 • It also allows you to mix and match jewelry to give your customers more idea on how to wear your collection. 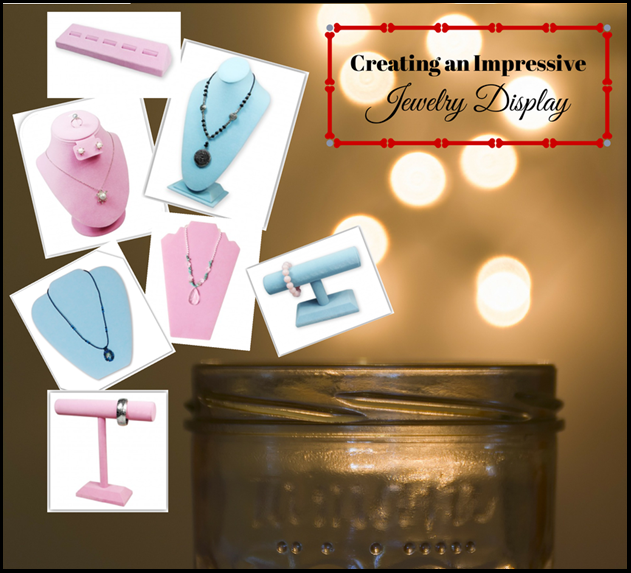 Hand displays are definitely one of the most effective ways to display your jewelry, but there are still some things that you should remember to keep your display effective and attractive to your customers. 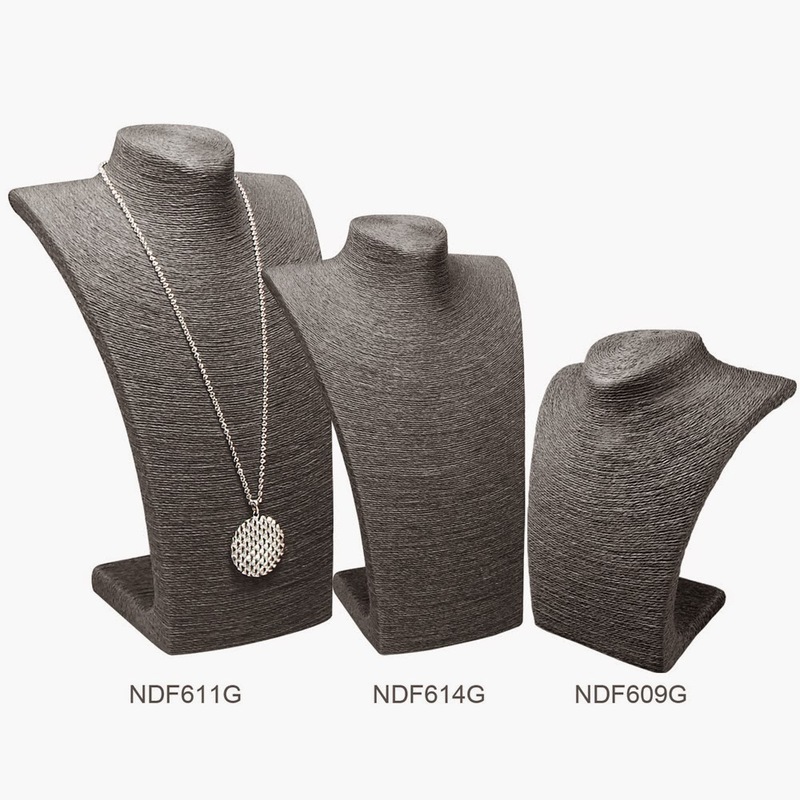 You can easily opt to buy the usual hand display form at any jewelry supplies store online, but as much as possible, choose for a unique form that will elevate the looks of your overall display and will let you experiment more on your display. If you’re planning to make your hand display the centerpiece of your display, it is important to decorate it properly to let it standout against other items in your jewelry display. You can paint it in different fun and exciting colors that complement the colors of your jewelry or dress it up with some piece of cloth. 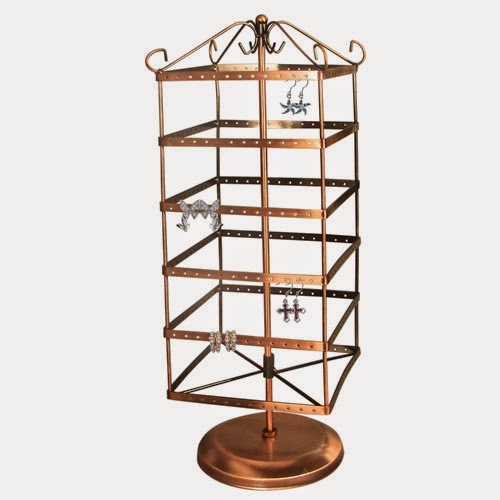 You can also place it next to other display racks to create variation on your display and to make your display table more interesting for your customers. 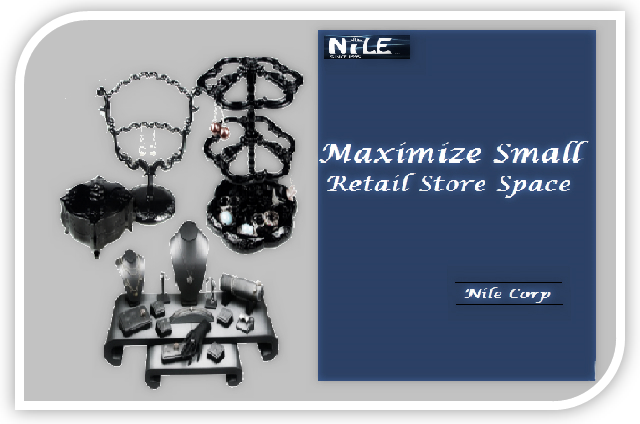 Here at Nilecorp, we have vast assortment of jewelry display that can help retailers like you to create the best jewelry display for your business. Check out our collection of hand display on our website.